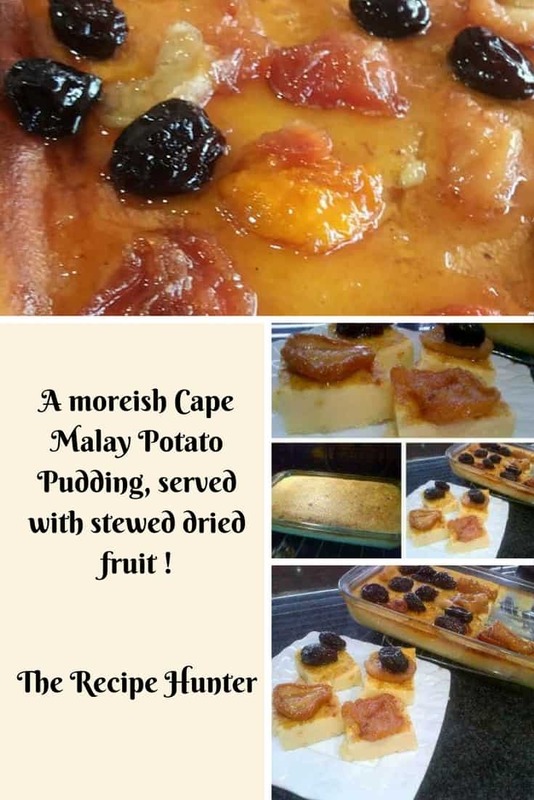 A moreish Cape Malay Potato Pudding, served with stewed dried fruit! Strain and add the remaining ingredients and beat well with stick blender. Boil water and stick cinnamon and mixed dried fruit for 10 min, add sugar to taste.